A great selection of glamping around Windermere lake includes Yurts, a Yurt with a hot tub, Tipis, Shepherd’s Huts, Camping Pods and Cabins. Some are pet friendly, most supply bedding, none supply towels. Scroll down or go to Map View. The Herdwick Huts are set on the edge of ancient woodland in Rydal Hall‘s 34 acres of grounds. On foot it’s 5 minutes to Rydal Water or 30 minutes to Ambleside. 8 minutes drive to Windermere lake. Lakeside and meadow yurts at Low Wray Campsite on the shores of Windermere lake. A popular National trust campsite with extensive facilities. 10 minutes drive to Ambleside. 5 Yurts and one Berber Tent just a couple of minutes walk from Windermere lake shore. 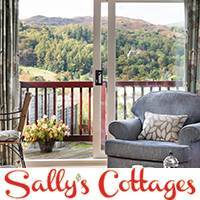 Low Wray is a popular National trust campsite with extensive facilities. 10 minutes drive to Ambleside. Long Valley Yurts have three 18ft yurts with wood fired hot tubs in the beautiful Dovedale Valley. 7 miles from Lakeside Pier at the southern tip of Windermere lake. Prices below include the hot tub hire. Coniston Tipis are on the NT Hoarthwaite campsite near the lake shore, 4 minutes drive from Inns in Torvor. The Langdales Tipis are on NT Langdales campsite near Old Dungeon Ghyll and Sticklebarn Inns. Tipis set in the grounds of YHA Hawkshead hostel overlooking Esthwaite Water and 20 minutes walk from Hawkshead village. 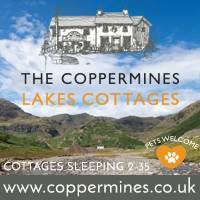 15 minutes drive from Ambleside. Membership not required. From £49 per night. No minimum stay. Tipis in the grounds of YHA Windermere, just 2 miles from Windermere Village, and overlooking Windermere lake. Use of all hostel facilities. Membership not required. From £59 per night. No minimum stay. Luxury fully equipped ensuite camping pods sleeping 4 each. A beautiful, peaceful location on a family farm. With no light pollution, on a clear night, the sky here sparkles with stars. Firepits available for hire. Creative workshops are also available here. From £70 per night. 2 or 3 nights minimum stay. Simple camping pods sleeping 2, or the larger pod for 4, all with heating at YHA Hawkshead hostel. Bedding is supplied and there is use of excellent hostel facilities. The village is 20 minutes walk. Bedding supplied. Bring other camping gear. From £39 per night. No minimum stay. A variety of camping pods on family friendly Park Cliffe Camping & Caravan Park. 3 miles from Bowness-on-Windermere. Bring all camping gear. Only premier pods have beds. Luxury ensuite micro-lodge Pods in the grounds of independent Grasmere Hostel, 1 mile from Grasmere village. Fully equipped with everything you would expect from a mini luxury lodge. 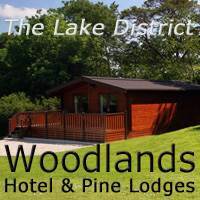 Luxury ensuite pods on family friendly Hill of Oaks Lodge & Caravan Park on the shores of Windermere lake. 5 miles to Bowness-on-Windermere and 3 miles to Newby Bridge. Foot ferry to Lakeside Pier. Lake shore access. Launching facilities. Shop. Well equipped. Bedding supplied. Heating. A large wooden cabin in the grounds of YHA Hawkshead, 20 minutes walk from Hawkshead Village. Use of all hostel facilities (unless exclusively booked). No membership necessary. From £99 per night. No minimum stay. The major centre for Glamping in the Windermere area, Low Wray campsite near Ambleside is a beautiful, mostly wooded, National Trust campsite with a stream running through it and direct Windermere lake shore access. Facilities include very good toilet and shower blocks with laundry, drying and washing up stations. Extra facilities at Low Wray campsite include a reception and information point, a well stocked shop and a children’s adventure playground. Wood fired pizza is available in season. Bike, kayak, canoe and rowing boat hire are available on site. Open fires/bbq’s are permitted at Low Wray Campsite only if contained and raised off the ground.